Some people might say that love can keep you warm when the world gets cold. Well, being in love and feeling loved certainly makes you heart jump and feel all warm and cozy inside, but unfortunately that is not enough to keep the chill from the outside away. That’s why we need various warmers like cloves, hats and scarves to keep us warm all the time. With Valentine Day approaching and the weather still not getting warmer, gifting your loved ones with some winter accessories is always a good option. 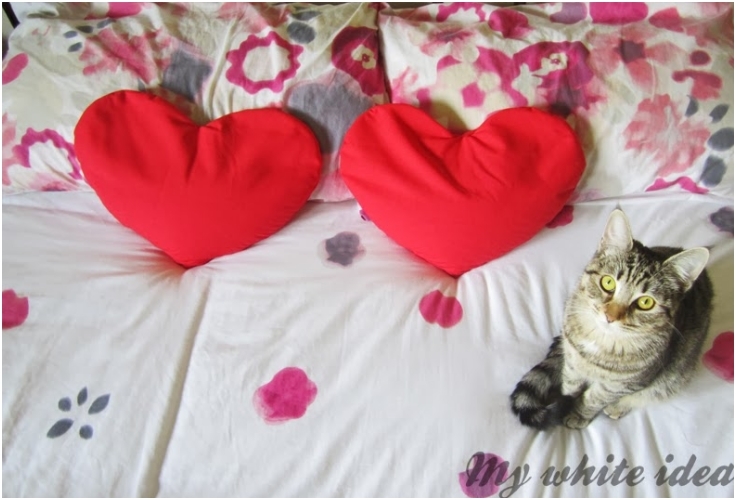 With these top 10 Valentine heart projects you can make the perfect present for the ones you love and once they find out that you’ve made it yourself, it will keep them doubly warm. 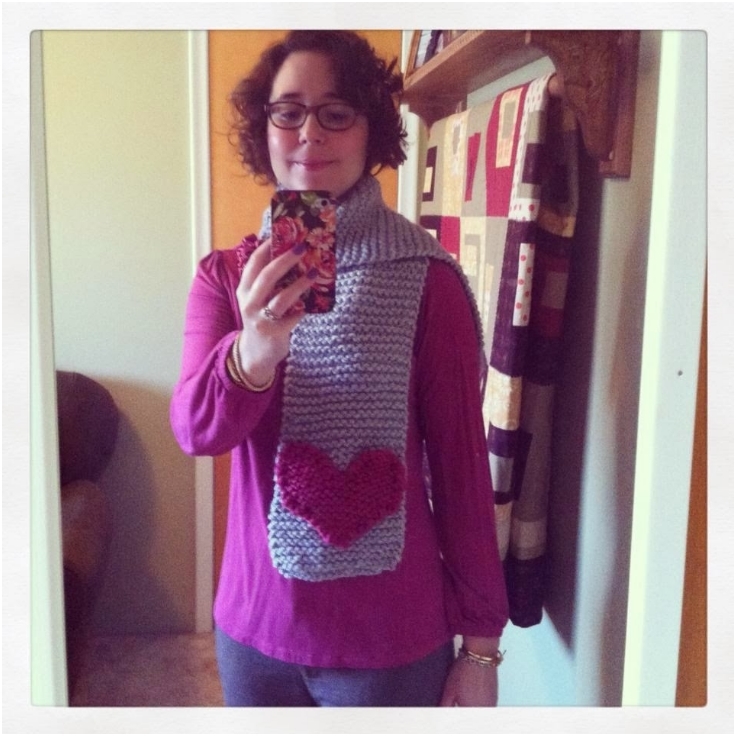 If you don’t have time to knit a whole scarf or a hat or you already have one, but it doesn’t say “I love You”, then knit this cozy little heart and just stitch it to the item of your choosing. Not only will it look lovely, but it express a lot of love as well. 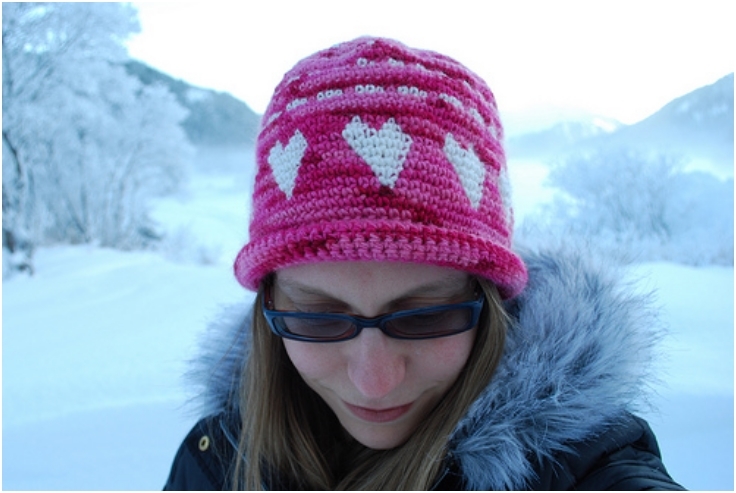 Love will always be on your mind with this lovely crocheted heart-filled winter hat. Crochet a matching pair in blue for your partner and no one will doubt your love. 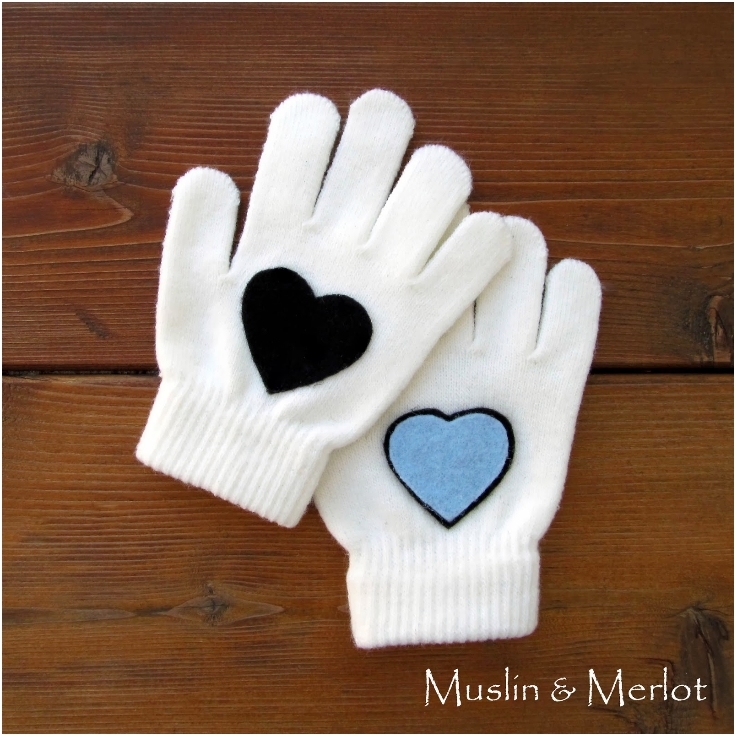 Glue a little heart in the gloves of your loved ones and whenever they feel their hands getting cold they can put on these cloves and feel your love warming them up. 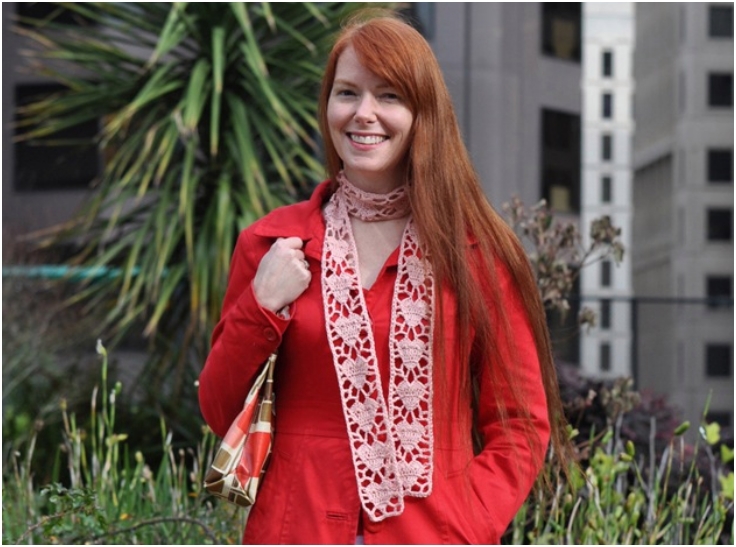 This light and romantic heart scarf is just the thing you need to fight off the chill on those milder winter days. This is a perfect Valentine gift for a dear friend or a female family member. Make this heart shaped thermal bag so even when you’re sitting at home, you can have your loving heart warm those you love the most. If you want to feel the warm feeling of being in love, you need someone to love, your other half. These gloves will always remind you of that. 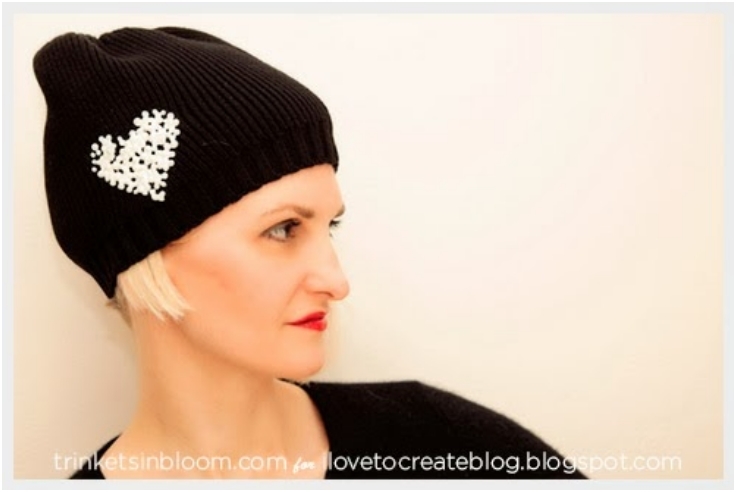 Don’t know how to sow or crochet, but you want to embellish that dull beanie? No problem. With this tutorial you will have your sparkly Valentine hat in no time at all. Keeping our feet warm keeps our whole body warmer since the greatest cold enters deep into our bodies from there. 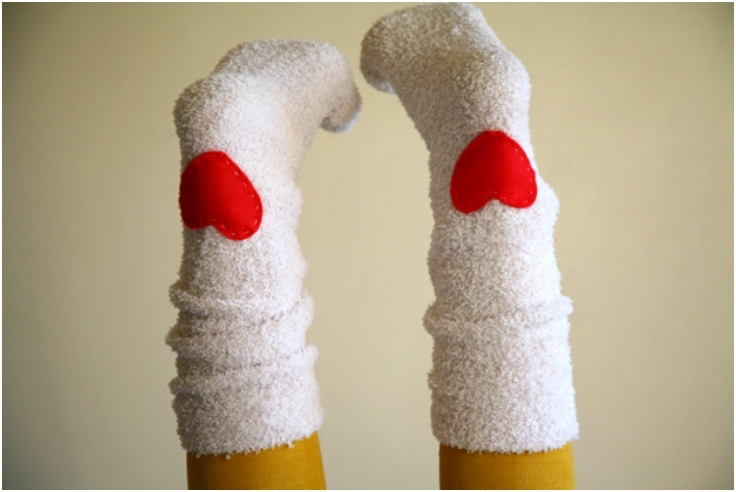 So, show how much you care by gifting your special someone with thick heart-soled socks. 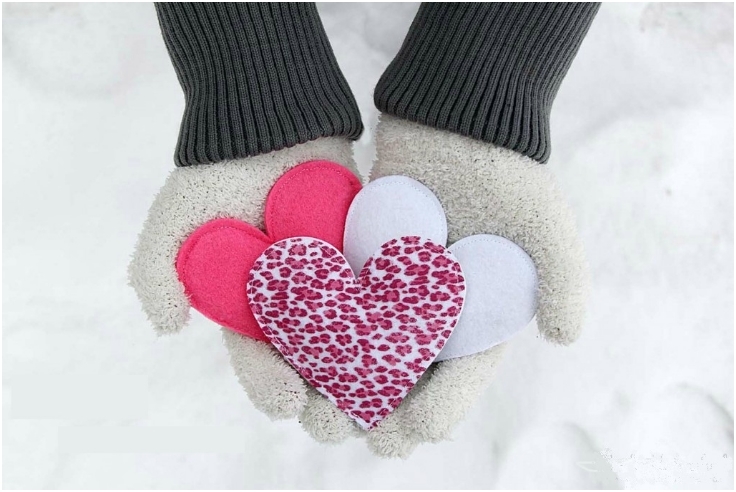 Let your loved ones be reminded how much you love them every time they look into their hands, by giving them these conversation hand warmers for Valentine’s Day. 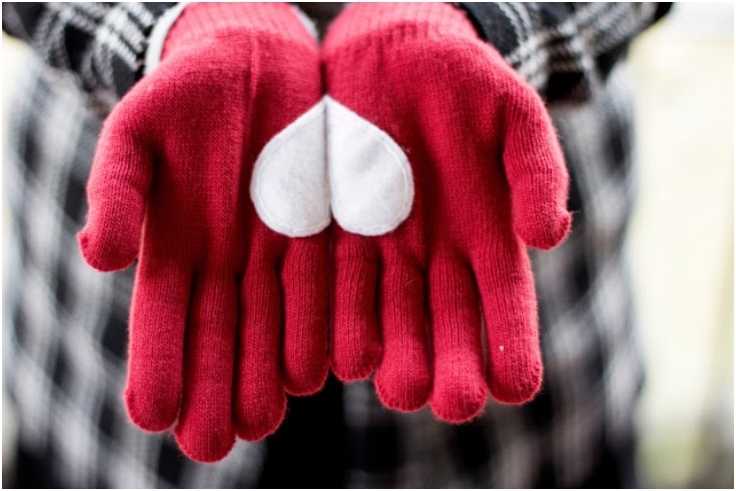 If gloves aren’t enough to warm your loved ones hands in those cold winter days, let them hold your heart and feel the warmth of your love.